D W Attwood is an emeritus professor at McGill University, Montreal, Canada. Since retiring from McGill, Attwood has worked full time on this book. Now he is assembling a portfolio of photographs of people in Malegaon and Supe villages and exploring some over¬looked aspects of the history of the Bombay Deccan during the late colonial period. He was born in 1943 and raised in the village of Oak Park, a Chicago suburb with good public schools (meaning tax-funded schools open to all village children). School attendance was mandatory by state law. 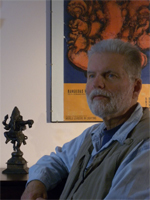 Attwood then attended Deep Springs, a small, private junior college in eastern California and completed his BA at the University of California, Berkeley, where he stumbled into anthropology. He did a year of MA course at the University of Chicago but then seized an opportunity to visit India in a programme run by the United States Educational Foundation in India. Afterwards, he resumed training in anthropology at McGill University, where he completed his PhD in 1974. That same year, he was appointed to teach at McGill, eventually becoming a full professor and chair of the Department of Anthropology. Attwood has spent nearly five years, on and off, living and doing research in India. He first met Baviskar in 1969, when the former was starting field research and the latter was writing his doctoral thesis. Attwood’s research focused on two villages in Maharashtra, one with canal irrigation and one without. Inquiring into villagers’ personal histories led him to delve into family histories which led in turn to ethnohistorical and archival research on socio-economic change in the Nira Valley from about 1885 to 1985. His results were published in leading journals of anthropology and development studies. He rounded off this series of publications with Raising Cane: The Political Economy of Sugar in Western India (1992). Meanwhile, he collaborated with Baviskar at organizing team re¬search projects on cooperatives. The results were published as Who Shares? Cooperatives and Rural Development (1988) and Finding the Middle Path: The Political Economy of Cooperation in Rural India (1995). As well, they co-authored a number of journal articles on related topics. Attwood also collaborated with other colleagues, co-editing Power and Poverty: Development and Development Projects in the Third World with T.C. Bruneau and J.G. Galaty (1988), and City, Countryside and Society in Maharashtra with M. Israel and N.K. Wagle (1988), as well as Cooperative Values in a Changing World with Jill Hanley (1996).